At the invitation of His Majesty Mohammed VI, King of Morocco and Commander of the believers, his Holiness Pope Francis pays a two days visit to the Kingdom of Morocco with the aim of reiterating the the long-standing relations between Morocco and the Vatican. During this visit, His Majesty the King Mohammed VI accompanied by the Pope Francis gave speeches at a very symbolic place, the Esplanade of the Hassan Mosque in Rabat, where H.M the King underlined that the three Abrahamic religions were created to open up to one another in order to fight against radicalism through education. The Sovereign highlighted that the visit of his holiness Pope Francis is taking place at a time when the Community of Nations - just like that of all Believers - is facing a number of challenges, adding that there is a need to tackle these new ills which feed on treachery as much as on the instrumentalization of the Divine Message by advocating the denial of the Other and similar wicked theories. After noting that religion is Light; Knowledge, Wisdom and Peace, the Sovereign said that religion should no longer be an alibi for ignorant people, for ignorance or for intolerance. H.M the King emphasized the importance of education to tackle radicalism emphasizing that the solution is neither military nor financial and that the dialogue between the abrahamic religions is insufficient. 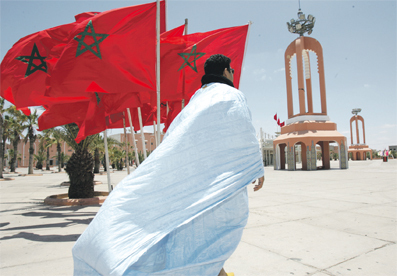 The Sovereign underlined that he is keen to ensure freedom to practise the religions of the Book being the guarantor of that freedom for the protection of Moroccan Jews as well as Christians from other countries, who are living in Morocco. 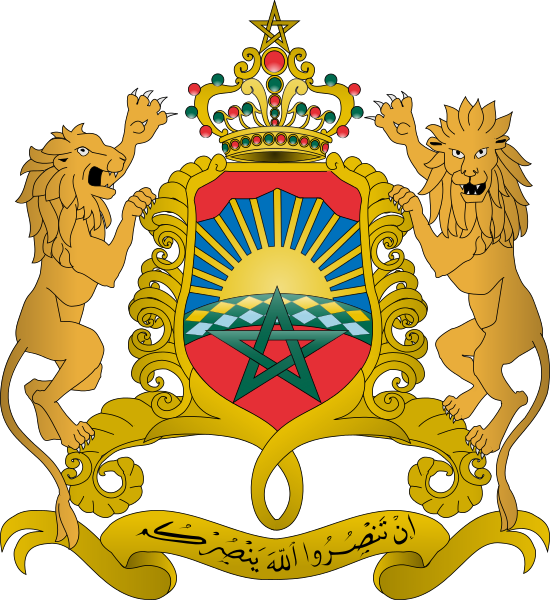 In this regard, the Sovereign recalled the setting up of the Mohammed VI Ulema Foundation and the Mohammed VI Institute for the training of imams and male and female religious guides, which receives young people from several European and African countries. Tackling the important role of solidarity and giving assistance to the poorest and most vulnerable people, H.M the King recalled the launching of the National Initiative for Human Development (INDH) to improve the lives of people in precarious or fragile situations and the establishment of the migration policy in Morocco. The Sovereign also said that he has been following with interest and appreciation the efforts made by his holiness to serve peace in the world, as well as his regular calls to promote education and dialogue, to end violence, to combat poverty and corruption, to tackle climate change - to fight the ills plaguing human societies. For his part, his Holiness Pope Francis expressed his happiness to be in Morocco, a bridge between Europe and Africa and a land so filled with natural beauty, while at the same time preserving the traces of ancient civilizations and bearing witness to a long and fascinating history. He stressed the need for cooperation in giving new impetus to the building of a world of greater solidarity, marked by honest, courageous and indispensable efforts to promote a dialogue respectful of the richness and distinctiveness of each people and every individual. In this respect, he hailed the role of the Mohammed VI Institute for the Training of Imams, Morchidines and Morchidates (Religious Guides) which seeks to provide effective and sound training to combat all forms of extremism, which so often lead to violence and terrorism. He also underlines the importance of religious freedom and freedom of conscience and convictions, vital for preserving human dignity. The Pope lauded also the various initiatives taken by the Kingdom of Morocco in recent years, notably The International Conference on the rights of religious minorities in Muslim countries, held in Marrakech in January 2016, the creation in 2012 of the Al Mowafaqa Ecumenical Institute in Rabat which is an initiative of Catholics and other Christian denominations in Morocco, in addition to the COP22 or the UN Conference on Migration. The Pope seized the occasion of his speech to encourage Catholics and all Christians to be servants, promoters and defenders of human fraternity in Morocco. Besides, H.M the King and His Holiness Pope Francis signed at the Throne room of the Rabat Royal Palace, the "Al-Quds Call", aimed at promoting and enhancing the specific multi-faith character, spiritual dimension and special identity of the holy city of Al Quds. This two days visit has been marked equally by one to one talks with HM the King, a dinner offred by the Sovereign in honour of the Pope and the accompanying delegation, a meeting with migrants from sub-Saharan Africa at the headquarters of the charity association Caritas Morocco in Rabat in addition to a visit to the Mohammed VI Institute for the training of Imams, Morchidines and Morchidate (Religious Guides) among other activities.